Sorry for the lack of posts, I am back at work now and with trying to juggle a lot all at once. 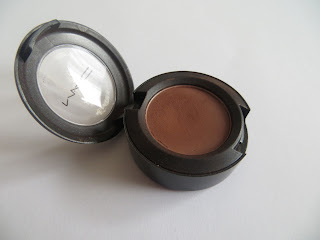 Here is my review of the gorgeous MAC eyeshadow in Swiss Chocolate, as you all may know I am a MAC fan and particularly love the selection of eyeshadows available. MAC Swiss Chocolate is a matte eyeshadow in a scrumptious chocolate brown. This eyeshadow would look stunning on anyone, a warm toned brown which would look perfect teamed with tones of gold, bronze, green and purple! 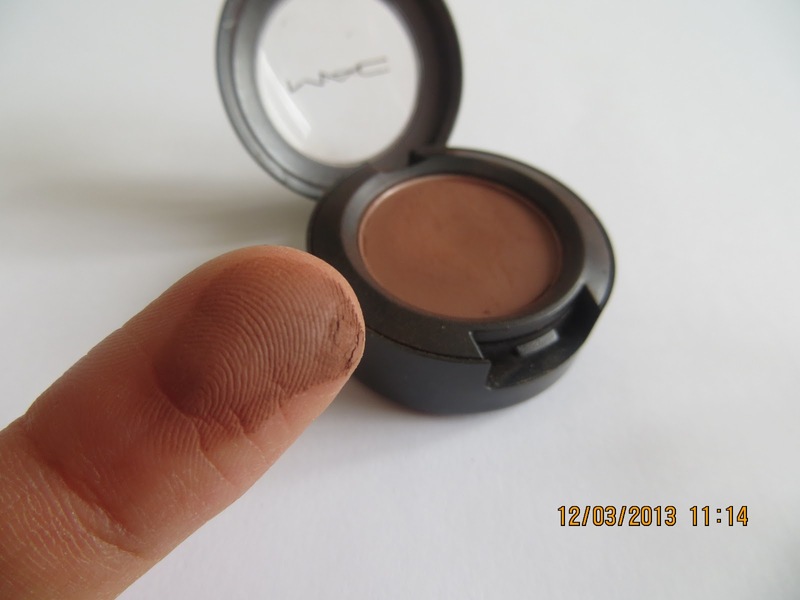 As you can see from the swatch the colour is a soft brown exactly like swiss chocolate!! It doesnt crease easily and lasts all day. It is fab to use with a smokey eye. I would definately recommend this shade! It really does remind me of chocolate so good one MAC! Dark shadows tend to make my eyes look very small and sunken in for some bizarre reason so I don't think it'd suit me but a lovely colour nonetheless. Love! I just picked up "Expensive Pink"
This looks like it would be SO pretty for a smoky eye! I’m really amazed with your posting skills as well as with the layout on your blog site. Is this a paid style or did you modify it yourself? Either way keep up the pleasant quality writing, it is rare to see a great site such as this one these days.I recently came to know about www.avanaaustralia.com.au/, their Organic Skincare are very effective.